One of the most important and often over-looked prayers available to the Christian is a Prayer for Protection. Different situations happen in our lives, so you can say a short prayer for protection against evil, harm or prayer for protection from enemies you face in your life. What is this type of prayer? Why is it over-looked? And should you add this prayer to your daily disciplines? These are the questions this article seeks to answer. If you feel an instinct or small voice inside telling you to pray… then stop what you are doing and pray. Here are some simple and short prayers of protection against evil, harm, enemies you can use in your daily life. These are designed to get you started, as you grow spiritually you will begin praying regularly and it will become like second nature. The Light of God – surround us. The Love of God – enfold us. The Power of God – protect us. The Presence of God – watch over us. The Mind of God – guide us. The Law of God – direct us. 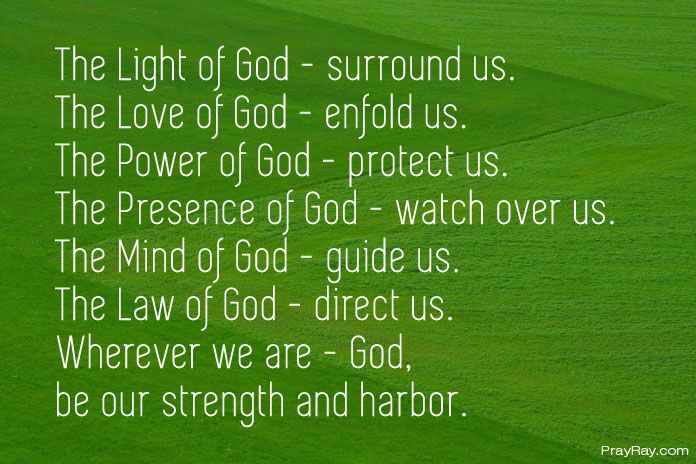 Wherever we are – God, be our strength and harbor. 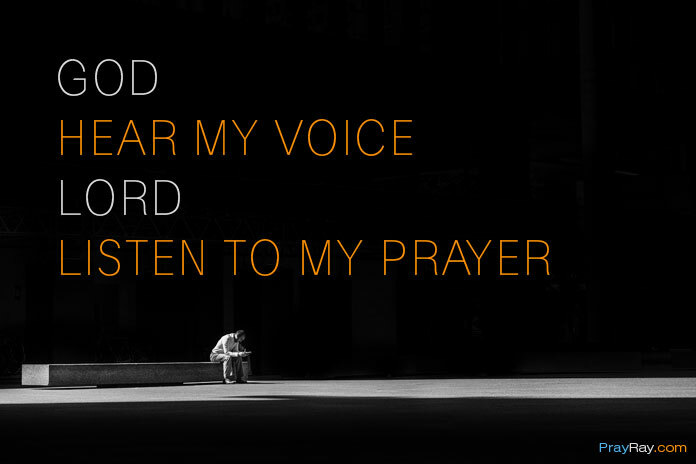 God, hear my voice. Lord, listen to my prayer. Save me from my enemies and their evil ways. Help me to recognize their bad intentions. Do not let the false and hurting words of them touch me. Protect me from devastating enemies actions. Please don‘t let evil to destroy and triumph over my life. God, I can rely only on you this hard hour and only you can save me. I believe and trust you, please listen to my prayer. Amen. Heavenly Father I pray that You would protect me and my family from all the evils and from those that would seek to harm us. Uphold us and keep us safe from all the evils that encircle our lives. Put Your hedge of protection and safety around us we pray, and place a guard at our doors and protects us from all that pass by our gate. And Father, keep our hearts from fear but rather fill us to overflowing with Your peace that passes all understanding. Thank You that You are indeed our refuge and strength. You are that ever present Help in time of trouble. In Your strength we will not fear, though the earth be removed, and though the mountains be carried into the middle of the sea. Stay with us wherever we go. In Jesus name, Amen. Heavenly Father, please give protection to my Christian brother and sister as they make a long road journey this week. Help them arrive safely at their destination and protect the other drivers along the way. Lord, they have much work to do here, building your Kingdom. Please bring them home safe and sound, in Jesus’ name I pray. Amen. Father in Heaven, tomorrow I must go to the doctor to get some test results. Father you know the outcome before it happens and you are in control of all things. I pray, if it is your will, those results will come back negative and I will receive a clean bill of health. Please protect my health, so I can continue here on Earth. I say this prayer in the name of my King of Kings, Jesus Christ. Amen. My Father, My God and My Lord. A storm approaches, we have been told and warned of it, but still we are unprepared. Please protect us and protect our friends and neighbours and anyone in the path of the storm. 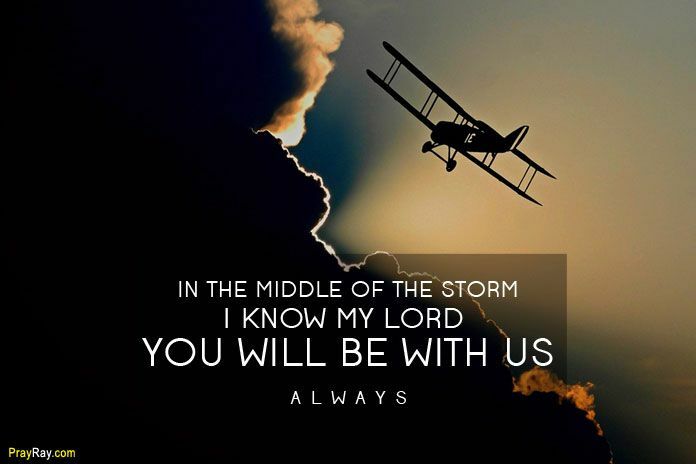 Father you can calm any storm with but a word, and if it is your will I ask that you do so, but if we find ourselves in the middle of the storm, I know you will be with us always. May your name be glorified in all things. I love you and thank you. Amen. Why We Need Prayer for Protection? A short prayer for protection can be used in many circumstances for protection against evil, harm, enemies, for travel mercies, natural disasters, health and medical situations, child births, and spiritual warfare just to name a few. They can also take the form of physical protection as well as emotional and spiritual. At the start I mentioned that a prayer of protection is often over-looked by Christians, especially newborn Christians who are just beginning to explore their faith. So if this describes you, let me first share how much God loves you and wants a very close relationship with you. A short prayer of protection can be used for yourself or others, often people pray for family and friends when they travel long distances, have medical conditions, are involved in an accident, natural disaster or other tragedy. You can (and should) even pray for your country, it’s military and their leaders for protection. Always remember, use a short prayer for protection at any time, and if you feel an instinct or small voice inside telling you to pray… then stop what you are doing and pray. The Holy Spirit of God exists within you to guide you and help in times of trouble. Listen to the spirit and pray. Never stop praying.